Description The tool tip saying "<key>: Toggle" in the Preferences tab when "v"iewing a dwarf remains there when inspecting another unit. Steps To Reproduce Press "v", move pointer over an Adult Dwarf, press "p" and "l" as to bring it's labor selection menu. Move pointer to any other unit. Changing tabs (general, inventory...) gets rid of the tool tip. 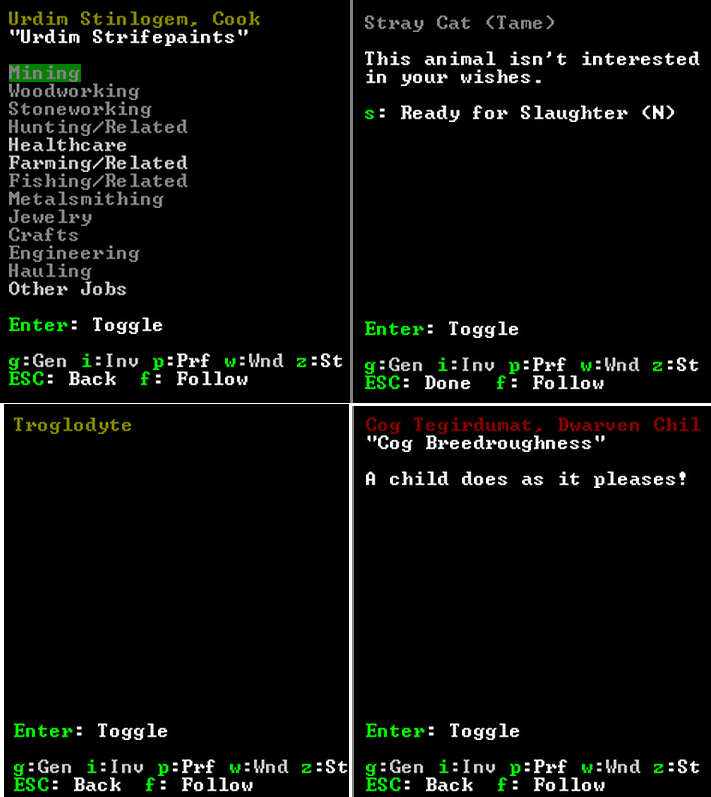 Additional Information http://i.imgur.com/L2WIQ30.png [^] - Inspecting Adult citizen, Tame animal, Wild animal, children.